Nearly six weeks after the Home Valuation Code of Conduct went into effect, technology vendor Global DMS found that the number of lenders ordering appraisals through appraisal management companies was roughly the same percentage as those lenders who ordered appraisals directly from the appraiser. While Global DMS – which owns and operates Oasis software and e-Trac – reported that there has been a surge in lending institutions ordering valuation services through AMCs, there also have been suggestions that customers of AMC services have been dissatisfied with the results; especially when those results have led to increased fees to the borrower and declining fees to the appraiser. From: David Biggers, Chairman, a la mode, inc.
As many of you are aware, we’ve always been at the forefront of lobbying for and protecting the interests of the profession. That’s why, a little over a year ago, we began the complex and expensive process of trying to educate everyone we could about the little-known dangers of the proposed “HVCC”, or Home Valuation Code of Conduct. "Unfortunately, as the economic meltdown and our presidential election garnered all the attention in Washington this past year, the HVCC transitioned quietly from a mere proposal into concrete national policy altering the core aspects of virtually all real estate transactions, with devastating effects." Today, the complications of the HVCC are killing real estate deals in every corner of the country, forcing buyers to pay more in closing costs while receiving less service, eliminating the positive aspects of the business relationships that REALTORS®, mortgage brokers, and appraisers have nurtured for decades, and shifting market value decisions to unfettered and often clueless appraisal management companies located thousands of miles away. Worse, your transactions, in your town, are many times being derailed by night shift hourly workers parading as “appraisal reviewers” in call centers half a world away. That’s not appraisal independence – that’s appraisal insanity, and it’s hurting every one of us. Our friends at NAMB, the National Association of Mortgage Brokers, are seemingly more aware of that than anyone. They agreed with us from the beginning that the HVCC is not just an appraisal issue and indeed is a threat to the livelihood of thousands of independent small businesses run by their members. That’s why we’re happy to pass on this Call To Action from NAMB and to encourage you to follow through with the phone calls, e-mails, letters, and visits to everyone you can reach. Getting the reversal of the HVCC back into the national spotlight is achievable if we each take the time to make a difference. A few minutes is all that’s required, but it could literally save the entire real estate industry from the specter of ill-conceived national policy interfering with inherently local real estate practices and relationships. None of us can afford to let that take root. Please read NAMB’s call to action [click here], and help us all save our industry from this dangerous federal bureaucratic meddling. The HVCC or Home Valuation Code of Conduct was recently implemented by Fannie Mae and Freddie Mac as a new system of appraisals in the U.S. Under the rules, many of the appraisals are handled by management companies (some of which are also owned by the lenders themselves). The system is designed to reduce fraud and lower costs with an improved appraisal. This new system has numerous flaws and has been widely criticized from both the Appraisal Institute (which represents over 20,000 appraisers nationwide), and the National Association of Realtors. Homeowners don't choose who they want to complete the appraisal of their home or how they calculate the value. The appraisal management companies are actually unregulated and the quality of their appraisals may be inferior to those of an established professional appraiser. The costs are actually increased since the appraisal management companies charge extra for their role. Typically, an appraiser charges approximately $325, but when consigned by the management company they only receive about $200. The customer is charged $400 and must pay up front for the appraisal instead of during closing. If the deal doesn't go through, the consumer absorbs the cost and the management company still pockets the extra charge. There doesn't seem to be any fee management and the costs for appraisals have increased dramatically. As reported by the National Association of Mortgage Brokers, one lender, EverBank, advertised its fees as follows: $465 for GHA appraisals and $390 for standard single family appraisals. Flat fees in Hawaii are a hefty $700. The new system is being extended to FHA mortgages, even though they are not included under the new code of rules. This new regulation increases the overall closing time and the waiting time before the customer can receive funds. Appraisal portability is also decreased since each lender will require a new appraisal. Small business appraisers will be squeezed out even though they may have a better knowledge of the area and may be considerably more qualified than the employees of the designated unregulated appraisal management company. This removes competition and equitable pricing guidelines for the consumer. The larger management companies will distribute orders through a central area which may be located hundreds of miles from the property being appraised. The chances of the consumer of receiving a below standard appraisal by employees who are not familiar with the area are increased. The HVCC was never required to pass through the Administrative Procedures Act, the regulatory Flexibility Act or any other procedural filter generally required by a federal agency. There are some that consider the HVCC code invalid and unenforceable due to its failure to comply to the Administrative Procedures Act. The Real Estate Settlement Procedures Act (RESPA) regulates the the way lenders and mortgage brokers close a sale and do business. The HVCC is in violation of rules against up-charging and fee-splitting. Every lender could leave themselves open to a possible HUD lawsuit on each loan they issue. Author Resource: Work with a qualified, dedicated agent for your next Foxhall DC condo purchase. Justin Lee will help you find the perfect home in Washington D.C. I'm just an Appraiser. How can I do anything to impact the HVCC? Re-blogged with permission from Truett D. Neathery - Real Estate Appraiser - neatheryt@sbcglobal.net originally posted on the Inland CA Appraisers Forum . If everyone here would take a few minutes this weekend to write, by letter or by e-mail, to your local newspaper explaining what the Home Valuation Code of Conduct (HVCC) has done to borrowers, real estate agents, loan agents, insurance agents, home inspection companies, etc., as has been stated here in this forum [blog], we might get some action. Yesterday I was confronted by an agent at a large [55 agent] real estate brokerage firm, suggesting it is the appraisal community that is causing increased fees and longer processing times to get their deals closed. Maybe a copy of your letter could be sent to the larger real estate agencies, as well, with the suggestion that the agents send letters in too. The agencies could even tout themselves as champions of the consumer again. Perhaps some of them could explain to the populace that they are attempting to work down the inventory of bank-owned and short-sale signs in their neighborhoods, but are being thwarted by HVCC. You can pick up the name and address of your local newspaper at your local coffee house, there's always one there if you don't care to buy one. All effective political action starts at the local level, not in the state capitol or Washington DC. AUTHOR:Truett D. Neathery - Real Estate Appraiser - neatheryt@sbcglobal.net originally posted on the Inland CA Appraisers Forum . HAVE YOU WRITTEN A LETTER? LET ME KNOW! - Send a copy of you letter to me at bjdavis@OurAppraisal.com and I'll create a link to it here on Appraisal Scoop. OXFORD, Miss., June 3 /PRNewswire/ -- In response to inquiries from its mortgage lender and appraiser clients, officials of mortgage technology company FNC, Inc. said they fully support Fannie Mae's Announcement 09-14. The announcement requires lenders to submit electronic appraisal data when selling loans to Fannie Mae. FNC believes initiatives like this will contribute to better risk assessment and improved transparency in both the primary and secondary mortgage industries. According to Announcement 09-14, Fannie Mae will require lenders selling mortgages to Fannie Mae to electronically submit MISMO XML appraisal data from all real estate appraisals as of March 1, 2010. FNC clients who use the company's systems currently receive appraisal reports submitted in a secure electronic XML format called AI Ready(TM). These lenders' systems can automatically create and deliver the MISMO XML appraisal data to Fannie Mae. "Clients who use FNC's Collateral Management System(TM), Collateral HQ(TM) or AppraisalPort(R) systems to manage their loan origination processes should not be affected when the new rules take effect," said Neil Olson, FNC chief legal officer. For years FNC has securely processed millions of appraisal reports annually on behalf of its lender clients using the secure AI Ready XML format. 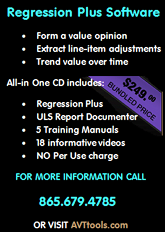 Since 1998, when AI Ready was created in conjunction with the Appraisal Institute, it has been the appraisal industry's most widely accepted residential appraisal XML standard. As a founding member and long-term participant in the MISMO standards development workgroups, FNC endorses the move toward data-centric loan file submission and improved transparency at the loan level for all participants in the mortgage market. AI Ready XML tools are licensed and integrated by all major appraisal form software packages, providing the industry with a commercially proven solution that supports Fannie Mae Announcement 09-14. Appraisal data submission to Fannie Mae will be provided at no additional cost to FNC clients as part of the company's comprehensive solutions.